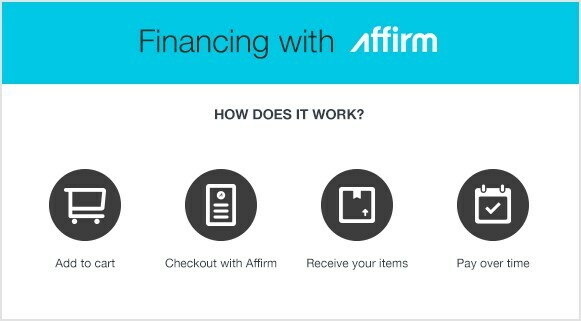 We have partnered with Affirm to give you a simple way to buy the pump you need now and pay for it later. 2. Have a valid U.S. or APO/FPO/DPO mailing address (excluding overseas territories). Please note this offer is only valid in the United States and is not currently available to West Virginia and Iowa residents. Sump Pumps Financing With Affirm - View Our Shop Sump Pumps Now and Pay Later With Affirm. Our sump pump how-to library can help you pick the perfect backup sump pump, primary sump pump or sump pump accessory.